The first thing you need to do is go to Squareup.com and log in to your account. Simply click the “sign in” text at the top right of the page, enter your username and password on the next page, and click “sign in” again. Once your main dashboard page loads, you will see a vertical list of text tabs on the left side of your screen. Click on the “Items” tab. Once the page loads, hit the “Create an Item” button at the bottom of the page. If you want to create multiple inventory items, you can import the items using an Excel or .CSV spreadsheet. We’ll cover that at the end of this article. To edit your inventory item image or color, you can hit the square “edit” box and “add image”. 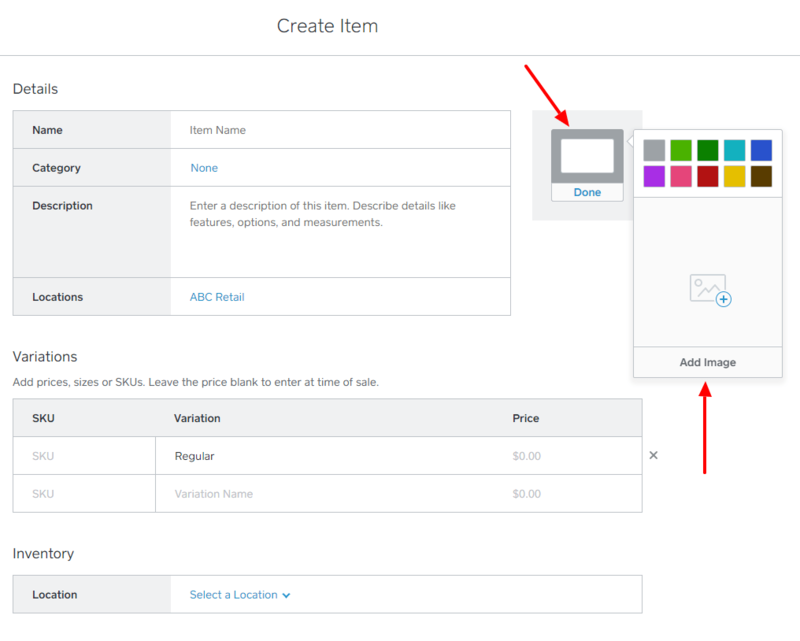 You can also select a color for your product to help visually categorize it in your dashboard (i.e., all cleaning services are purple). Once you’re finished, click done. Once you are done with that, enter your item name into the “name” field and then pick its category. For example, if you have a bakery, you might have different categories for “cakes”, “cupcakes”, and “cookies”. If you already have a category created, simply click on the “category” field and select it from the drop down list. If not, then you can simply click on the field, write in a category, and click enter. This is fairly straightforward, but you obviously need to add your price to your inventory item. The one option always included is the “Regular” price. But, you can also specify other special situation pricing, such as the “wholesale” price or “sale” price. Here’s an example of one of my “Water” plate inventory items. If you want to actually track ongoing inventory numbers for specific products, then you can turn on inventory tracking by clicking on “Start Tracking Item Inventory” at the bottom. That allows you to set the initial number of inventory items to start, which will then decrease as sales are made (of course, you can always add inventory when you receive them from your suppliers). 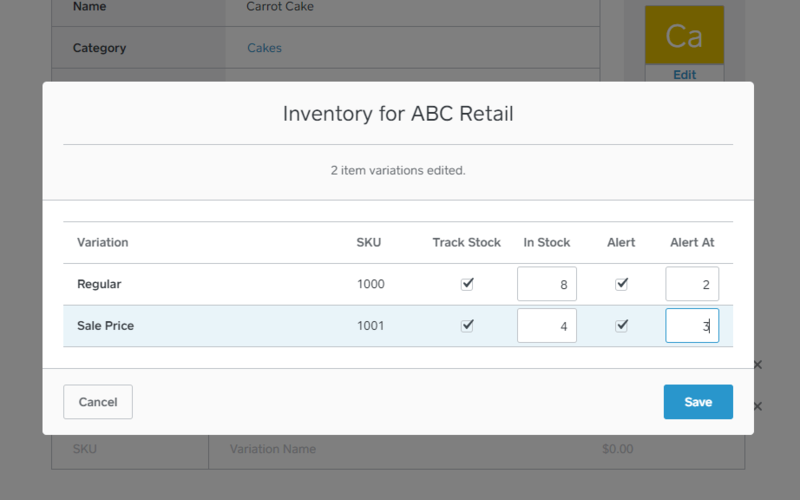 You can choose to receive alerts once inventory hits a specific level. 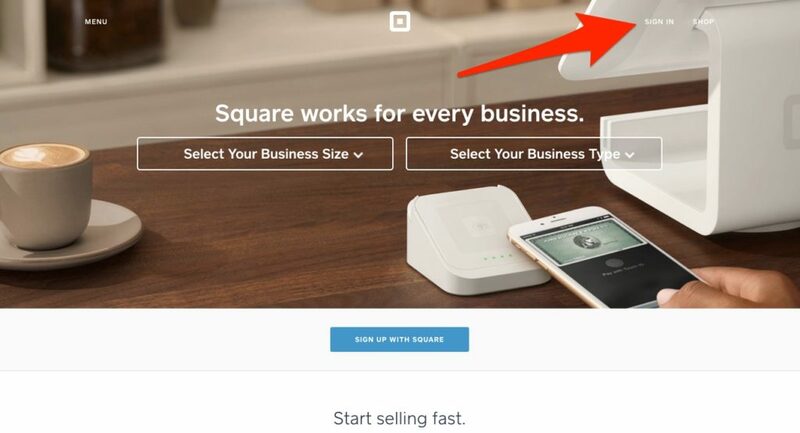 Square also has an ecommerce option for online stores. If you have that, then you can also configure how your inventory items show up on your site (image, url, etc). Once you have filled everything out, do a final review to make sure that everything is set as you’d like it to be. If your inventory item is good to go, then just hit the “Save” button at the top right corner of your screen and your item is complete. 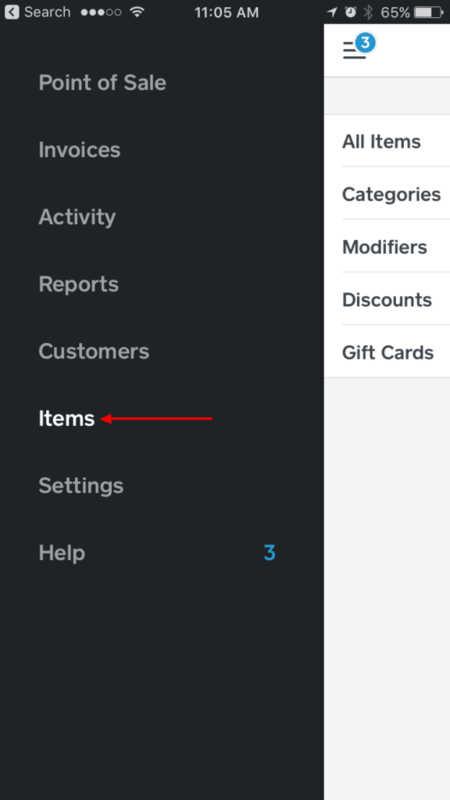 Once you have your inventory items created, then you can easily select them on your point of sale from the item library to add them to a sale or add them quickly to your invoices. To access your newly created items, you can go to your mobile device, click “items” on the left hand menu, and then click “all items”. 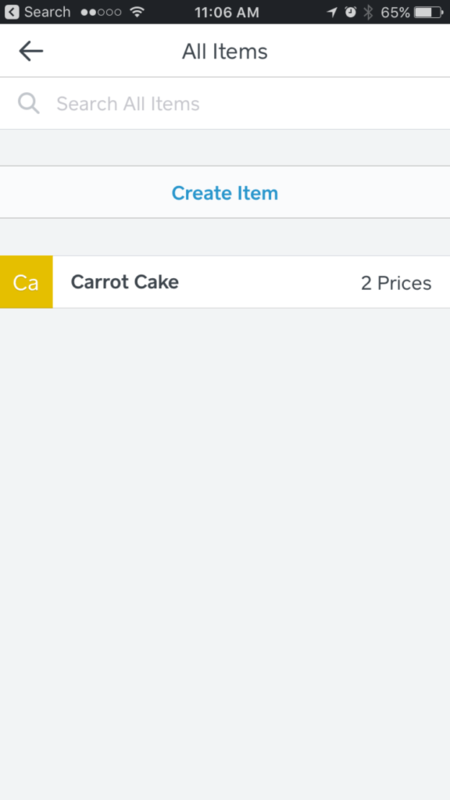 You can add Square inventory items from the app too, but it’s easier on a desktop or laptop. 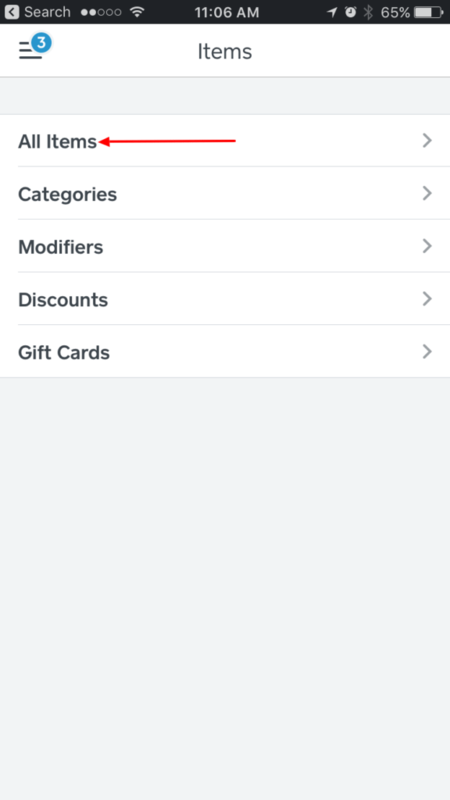 Here’s how to access inventory items in the app. If you have multiple inventory items that you want to add or update, it’s quickest to import the items using an Excel or .CSV file. To do so, go back to the items tab in the lefthand menu and click “import”. Modify Item Library – choose this option if you want to add new items to your inventory or update details for existing items (e.g. an item’s price or image). This will not delete any items from your item library. Replace Item Library – choose this option if you want to replace all your existing items with new items. The old entries will be deleted. 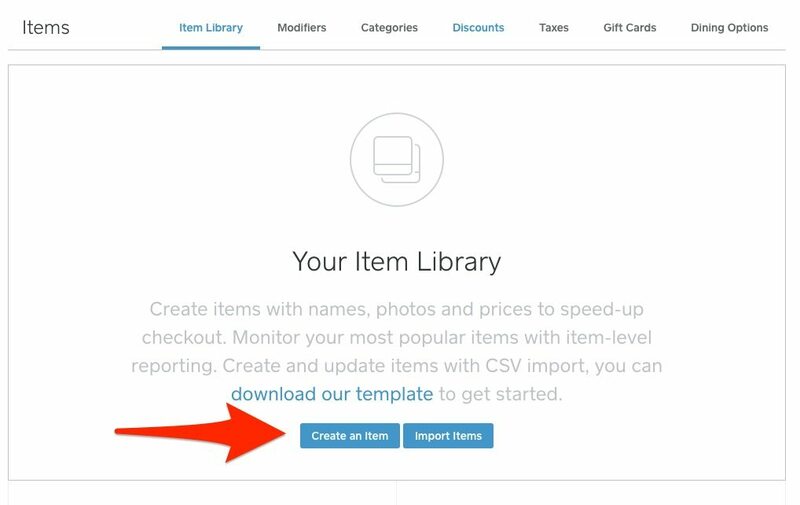 To import items, you’ll need to download Square’s template file and put in your specific details. Then, upload the file to update your item library. 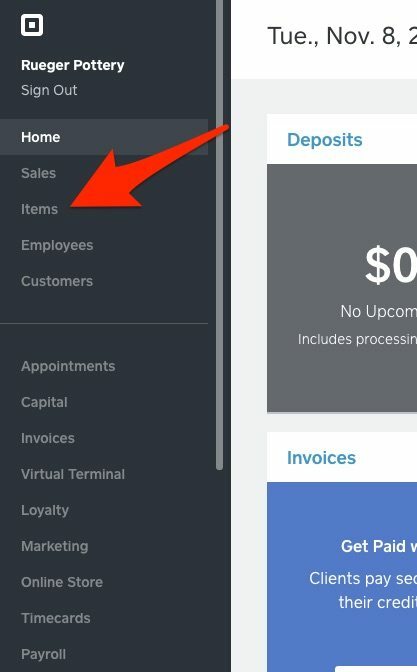 Square inventory items feature is a great way to speed things up when you have a long line of customers or a big stack of invoices to send. You’ll be glad you created your item library on your busiest days! Priyanka Prakash is Managing Editor at Fit Small Business. In addition to overseeing a team of a dozen writers, she also writes on topics ranging from retail to law to insurance. Priyanka is also responsible for ensuring the efficiency and integrity of Fit Small Business’ publication process. Priyanka is a licensed attorney, and before joining Fit Small Business, she served as in-house counsel at a tech startup. When not writing or editing, you can find Priyanka rollerblading, reading a good mystery, or exploring Brooklyn with her husband and daughter. 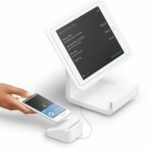 Lightspeed Retail POS - FREE Trial!